Dr. Ned formed Pain Management Group with a vision to create a systematic, process-driven approach to developing and operating balanced, hospital-based, outpatient pain management centers. 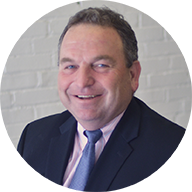 Dr. Ned is board certified in anesthesiology and interventional pain management and completed his ACGME-accredited Fellowship in pain management and anesthesiology residency at the New England Medical Center/Tufts University School of Medicine in Boston, Mass. Dr. Ned did his internal medicine internship and residency at the Hospital of St. Raphael in New Haven, CT.
John joined Pain Management Group in 2009, bringing a combination of financial and strategic planning expertise as well as more than 20 years of experience in hospital administration and healthcare consulting. John has led PMG’s growth by developing partnerships with physicians and hospital administration to expand hospital offerings, facilities, and service lines. John is a graduate of Bowling Green State University where he earned his BS in Accounting and received his MBA from The University of Findlay. Christina Tulenko, MD, JD joined Pain Management Group in July of 2016. 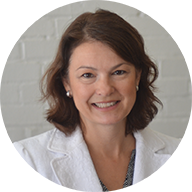 Dr. Tulenko utilizes her vast skill sets to provide quality clinical and policy insight for Pain Management Group and their partner programs. She completed dual residencies at Indiana University in the fields of Internal Medicine and Pediatrics. Dr. Tulenko’s experience includes serving as Medical Director of Emergency Services at Marion General Hospital and as a consulting practice attorney for medical malpractice issues with Wolske and Blue, LPA in Columbus, Ohio. Dr. Tulenko received both her medical and legal degrees from The Ohio State University. Brad joined Pain Management Group in 2010. He oversees PMG’s financial management business process. Brad has more than 19 years of healthcare industry experience in financial management and operations. 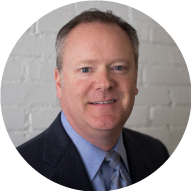 Prior to joining Pain Management Group, Brad was Director of Joint Venture and Performance Management and Director of Finance Operations at OhioHealth. Brad earned his MBA from Kent State University and his BBA from The Ohio State University. Jeff joined PMG in April 2017 to lead corporate and business operations. 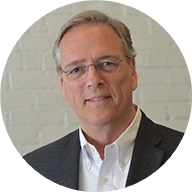 Jeff is a Fellow of the American College of Healthcare Executives, and brings over thirty-five years of healthcare administration experience. After twenty-three years working in executive operational roles at hospitals in Northern Ohio and New York City, he dedicated seventeen years to serve as the CEO of the Cleveland Clinic's two 500-bed teaching hospitals. Jeff completed his undergraduate at The Ohio State University, and received a Masters in Healthcare Administration from the Roth Graduate School of Business at Long Island University. Julianne coordinates IT operations and front-end development of PMG's proprietary database. 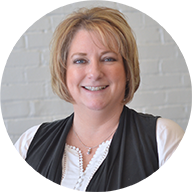 Julianne has more than 19 years of experience in healthcare including strategic planning, program growth and development, process improvement, marketing, and performance management. Prior to joining Pain Management Group, she was the Business Development Manager for OhioHealth. Julianne earned an MBA from Franklin University and a BS in Allied Health, Physical Therapy from The Ohio State University. She is a Six Sigma Black Belt. Sara oversees the Regional Directors of Operations for our Northern region partnerships. Sara utilizes her strong background in nursing, management, and hospital compliance to help lead PMG’s operations team. Her experience in clinic operational management and regulatory oversight allows her to lead PMG’s continued focus on service quality. Sara graduated from Owens Community College with an Associate Degree in Registered Nursing, and joined PMG after 10 years of hospital and management experience. She previously was the Clinic Manager of the Memorial Hospital Pain Management Center at Fremont Memorial Hospital in Fremont, OH. Lisa oversees the Regional Directors of Operations for our Southern region partnerships. She dedicates her time to leading and developing our RDOs for continued program quality, effective growth, and strong partner relationships. She has over 11 years of healthcare industry experience including management, program development, strategic planning, operations, physician recruiting, communications, marketing and sales. 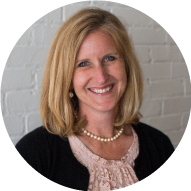 Prior to joining Pain Management Group in October 2012, Lisa was the Director of Membership Development and Business Partners for the Ohio State Medical Association located in Central Ohio. Jason began working with PMG in 2015 and leads growth and oversees operations of our partner centers and RDOs in the southern Midwest region. Jason has an expansive background in the business sector with focus on Investing and Healthcare Management. 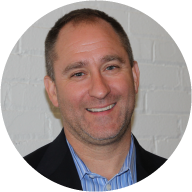 Jason most recently worked as the Vice President of Investments for an investment firm out of Fort Wayne, Indiana. Jason holds a Masters of Business Administration, and a BS in Business Administration from Taylor University. Jenn oversees operations and leads growth at several of our partner centers in Ohio. Additionally, she assists in the hiring and training of employees and also oversees patient care protocols to ensure hospital compliance. Jenn also assists in the financial decision making, planning and budgeting. She joined Dr. Ned at Pain Management Group as Director of Operations for the very first pain management center. 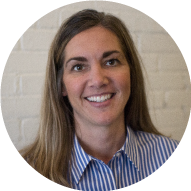 In an effort to create a comprehensive, process-driven solution, Jenn was instrumental in starting and managing the operations of four other joint ventures. Mike joined PMG in 2013. He specializes in coordinating the start-up of new programs with an efficient, team-based process. Mike served over 20 years in the U.S. Navy. He finished his career with tours as the Medical Senior Enlisted Advisor at Camp David and White House Medical Unit. After retiring from the service in 2010, Mike joined Kaiser Permanente where he served as the Facility Operations Manager for the District of Columbia and later as the Director of Medical Operations for a Concierge Medical Practice serving ultra-high net worth clients. Mike earned a BSHS in Health Care Management from Touro University in Cypress, California while serving in the military. Janel joined PMG in October 2016. She provides administrative support for PMG’s CEO, and utilizes her background and education in office administration to assist with scheduling, communication, and meeting planning. 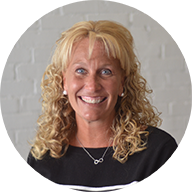 Janel began her career at Riverside Methodist Hospital in Columbus, Ohio, and then spent 16 years at Blanchard Valley Health System in Findlay, Ohio. While at Blanchard Valley, she worked as the executive assistant to the CEO and also supervised the other assistants and medical staff office. During this time, Janel served on the Board of the Ohio Society of Healthcare Executive Assistants. Janel earned her Associate's degree in Medical Office Administration from Columbus State Community College. Mary joined the team full-time in June of 2015. She manages and develops all corporate internal and external communications to ensure clarity, consistency, and efficiency in our communication processes, training initiatives, and organizational development. 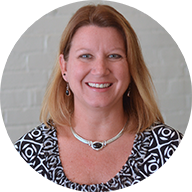 Mary also manages PMG's processes for hiring and onboarding internal team members. Mary has a Bachelor of Arts in both English and Teaching English to Speakers of Other Languages (TESOL) from Indiana Wesleyan University. Prior to joining PMG, she worked as an English instructor for a language center in Indianapolis, and created, coordinated, and taught an EFL program for an online school. Melissa provides administrative support to the operations and executive team members. She directly supports the CFO and COO, and is responsible for PMG’s Accounts Payable and Accounts Receivable. Prior to joining PMG in 2011, Melissa held various roles in home healthcare and assisted living. She also brings extensive experience in customer services, business development, and regional account management from her nine years with Solomon Software. Melissa holds an Associate’s Degree in Accounting and was ABWA (American Business Women’s Association) Hancock County Chapter business woman of the year. Alex joined the PMG team first as a Marketing intern, and then full time as our Marketing Specialist in May 2017. 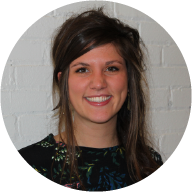 Alex utilizes her experience in design software, social media management, and brand marketing to design marketing collateral and assist with strategizing the most effective methods for reaching our target audiences and expanding our network. 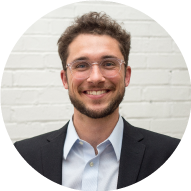 In addition to spearheading the improvement and maintenance of PMG’s corporate branding, Alex also manages the marketing process during partner and provider implementation. 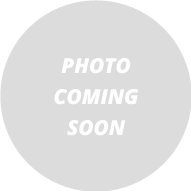 Alex has a Bachelor’s degree in Marketing with a Minor in Photography from Taylor University. Sarah joined the PMG team in September of 2018. She is responsible for overseeing privileging and insurance credentialing, as well as assisting with a variety of functions associated with provider onboarding and support. 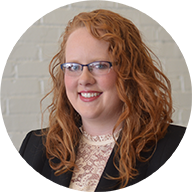 Sarah brings a diverse set of experiences to the team with her background in social work and nine years of experience as a general practice attorney. Throughout her career, she has gained extensive experience in problem solving, data analysis, client relations, contract and policy negotiation, as well as business management and leadership. Sarah received her Bachelors in Psychology from Dartmouth College and her Juris Doctor from Vermont Law School. Brennan joined PMG in August of 2017 on a contracted basis to assist with various IT projects, and two months later transitioned to become a full time Regional Manager of Operations. After gaining operational experience,Brennan became PMG's Provider Process Specialist and leads the implementation and onboarding processes as well as ongoing support for new pain management providers. Brennan has a Bachelors in Science from Taylor University in Upland, Indiana, and a Masters in Information and Communication Sciences from Ball State University in Muncie, Indiana. Anna joined PMG in 2014 to observe and coach nursing and office staff in each of our partner centers in order to refine habits and standardize practices for high quality, efficient patient care. Anna brings in twenty-three years of experience as an RN, including seven years as a nurse in a pain management center. 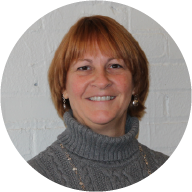 Anna has 23 years of experience as an RN, including seven years as a nurse in a pain management center. She received a Bachelor of Science in Dietetics from Bowling Green State University and an Associate degree in nursing from Kentucky State University. Susie joined PMG in 2014 to observe and coach nursing and office staff at our partner centers. She worked alongside PMG’s medical director for four years in a pain management clinic, which has enabled her to offer valuable perspectives for continual improvement of patient care and staff efficiency. Susie graduated from Owens Community College with an associate degree in surgical technology. She is a seasoned CST with six years of hospital experience and 16 years as a CST and office assistant at a fast-paced ophthalmology group. Tyler came to PMG in 2014 with 8+ years of IT experience. He brings to PMG creativity in website development including creation of custom user interfaces and website applications, skills in database design and development, and network engineering. 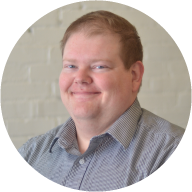 Tyler focuses on developing and expanding our custom software to enhance use in daily operations and reporting, increase partnership with partner Information Technology resources, internally create and manage the PMG website, and provide internal support of PMG technology and network needs. Phil came to PMG in 2015 with 6+ years of IT experience. 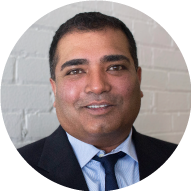 He brings creativity in database design and data mining, and has worked with numerous IT consulting firms as well as governmental agencies. Phil focuses on developing and expanding our custom software to enhance use in daily operations and reporting, increase partnership with partner Information Technology resources, and provide internal support of PMG technology needs. Phil graduated from Heidelberg University in 2003 with a Bachelor’s Degree in Computer Information Systems and Business Administration. Additionally he completed the IT Specialist Program at Northwest State Community College. 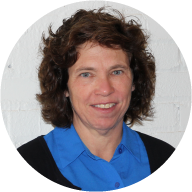 Sally works directly with the CFO to prepare recurring financial analyses, and annual operating and capital budgets. She works alongside hospital finance, patient financial services, and physician billing companies, and lends financial support to the PMG Development and Implementation teams. 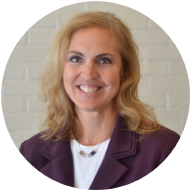 Before joining the PMG team in the fall of 2014, Sally was a senior accountant at OhioHealth. Her 19 years in finance also include experience as a staff auditor with Perry & Associates. Sally earned her BA in public accounting at Marietta College. 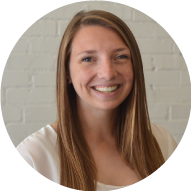 Jennalee began working with PMG in 2015 to help the finance and IT teams prepare financial analyses, data analysis, and additional analytical resources. Currently, she focuses her time on the IT team to help lead and develop our analytics resources to support creating sustainable partnerships. Prior to joining PMG, Jennalee worked as a financial analyst in the area of Corporate Liability Insurance for Marathon Petroleum Company. Jennalee holds a BS in Marketing and Finance from The University of Findlay. Andrea joined PMG in April 2017 and utilizes her expertise in healthcare financial management to provide continued financial support for our partners through preparing analyses, budgets, and leading routine calls and meetings. 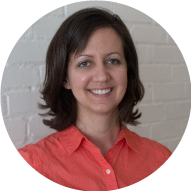 Andrea has extensive experience in data analysis, accounting, budgeting, reporting, and financial statement management within the healthcare and non-profit realms. Andrea has her Bachelor of Arts in Accounting and Business Management from Franklin College, and is currently a candidate for the Masters of Business Administration program at Indiana State University. Jenna has been with Pain Management Group since January 2010. She assists with administrative support for PMG's leadership team, which includes scheduling, communication, and meeting preparation and support. Jenna also assists with additional projects and administrative tasks to support the organization. Jenna graduated from The University of Findlay with a BFA and Associate’s Degree in Business Administration. 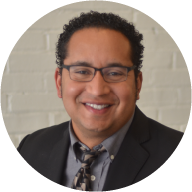 Sammie joined PMG in 2012 and utilizes his strong medical acumen and years of operational management and leadership as Regional Director of Operations for multiple sites in Ohio. 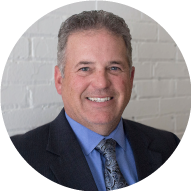 Sammie served twenty-four years in the U.S. Navy and worked five years at Ohio Health, supplying him with valuable experience directing staff and physician team building, medical logistics planning on an international level, and operational management. Sammie earned a BSHS in Health Care Management from Touro University in Cypress, California while serving in the military. He earned a masters degree at Trident University. Marianna began working with PMG in the fall of 2014. She supports programs in northwestern Ohio. Her role is to oversee operations and position these programs for effective growth and high quality patient care. She brings 15 years of clinical nursing experience with a background in both surgical and OB. Additionally, she has significant leadership experience in staff development and education. Marianna has her Bachelors of Nursing from The Ohio State University and her Master’s in Business Administration from Tiffin University. Michele joined PMG in June of 2016. Michele utilizes her vast experience in operations and pain management nursing to provide leadership and oversight for the Mount Carmel Health System Pain Management programs. Michele has 12 years of healthcare experience and is a Registered Nurse as well as a member of the American Society of Pain Management Nurses. Most recently Michele served as the Nurse Manager for the Avita Health System Pain Management programs. Michele earned her Nursing Degree from North Central State College. Sara joined PMG in February 2017 to work as a Regional Director of Operations in the Central Ohio area. She brings valuable experience to her role as an RDO from her time spent working as a charge nurse, forensic nurse program coordinator, public health nurse, and nurse director of emergency services. 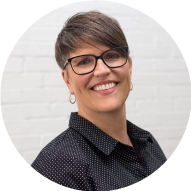 Sara has over 20 years of experience in nursing, management, and leadership, along with a Masters in Nursing and specialization in Leadership and Management. 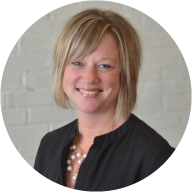 Jennifer joined PMG in June 2017 to work as our Michigan market Regional Director of Operations. 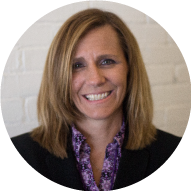 Jennifer brings over twenty years of experience in healthcare, particularly within operations management, human resources, consulting, marketing, and contract management. 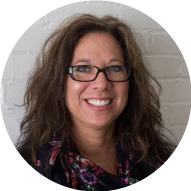 Prior to working with PMG, Jennifer was the Operations Manager at the Sparrow Pain Management Center in Lansing, MI. 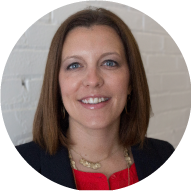 Jennifer has a Bachelor’s in Business Management from Central Michigan University, as well as an MBA from the University of Phoenix. Rebekah joined PMG in 2018 to oversee operations and growth at our partner sites in Kentucky. Rebekah has over 17 years of healthcare experience as a pharmaceutical sales representative, where she established and managed the Kentucky markets for several pharmaceutical companies. During her time as a territory representative, she gained valuable experience by managing multiple, complex sales territories, launching and establishing new products and marketing initiatives, and consistently meeting and exceeding sales and revenue goals. Rebekah has her Bachelors in Exercise Physiology from the University of Kentucky. 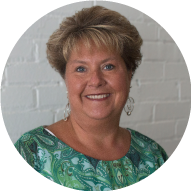 Brenda started working with PMG in 2018 and serves as the on-site Regional Director of Operations at the Rhea Pain Management Center in Dayton, TN. Brenda started her career in healthcare as an Emergency Medical Technician, and during that time earned her Associate of Science in Nursing to become a Registered Nurse. Brenda joined the team at Rhea Medical Center in 2012, gaining experiencing as an ER nurse and Surgery Clinical Coordinator. She currently utilizes her expertise to lead the pain management center's operations and growth as the clinic manager and RDO. Brenda received her Associate of Science in Nursing from Chattanooga State Technical Community College in Chattanooga, TN. Jamie joined PMG in 2018 and oversees operations and growth at several of our partner sites in Illinois and Indiana. After working as a Registered Nurse and nurse educator for 17 years, Jamie moved into other areas of healthcare by gaining experience as an EHS Administrator, Health and Wellness Coordinator, and HR Director. Her diverse career experiences have provided her with opportunities to grow as an experienced trainer, communicator, and presenter, and she brings useful expertise in client relationships and clinical knowledge to her role as an RDO. Jamie has her Associates of Science as a Registered Nurse and her Bachelor of Science in Elementary Education. 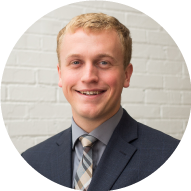 Cole joined PMG in November 2017 and assists our Regional Directors of Operations in the central Ohio area and Michigan with data analysis, report generation, marketing efforts, and board meeting packet preparation. Prior to joining PMG, Cole completed his Masters in Public Health from The University of Texas in Houston with a focus on health promotion/behavioral science and healthcare management. While completing his Masters, Cole worked for the Dell Center for Healthy Living and completed internships with the Texas Medical Center, Decision Frameworks, and Nokia Growth Partners. Cole has a Bachelors in Chemistry from Miami University in Oxford, Ohio. Shannon joined PMG in 2018 to oversee operations and growth of our partnership with Regional One Health in Memphis, Tennessee. Shannon has over 11 years of operational experience, including multi-site management throughout the United States in dental and optical care. 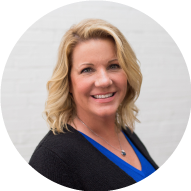 Shannon has successful experience in driving margin improvement and volume growth, physician relations, organizational leadership, expense management, strategic growth, improving operational performance, and maintaining high-quality customer service. Shannon has her Bachelors in Elementary Education from Louisiana State University.